How I Survive Waking up Before 3 A.M. 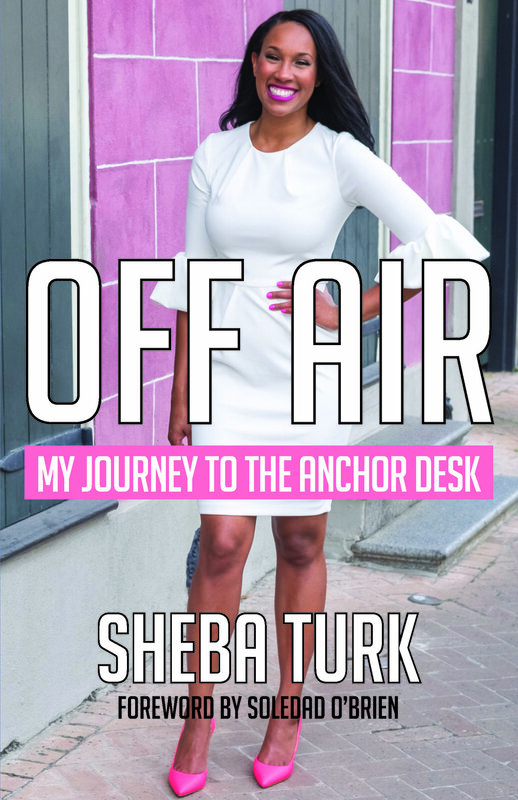 I am so excited to be bringing my new book, Off Air: My Journey to the Anchor Desk, to you guys! I hope to see you at one of my upcoming signings or events! The book will be for sale for $20. A huge thanks to Port Orleans Brewing Co. for hosting my book release party ! **If you would like me to speak at your event or sign books, please use the Contact page. I am beyond excited to announce that my first book is coming out this week! It is titled, Off Air: My Journey to the Anchor Desk. What is Off Air about? I always knew that I would be successful, but I have encountered many obstacles on my path to success. I struggled to settle on a career path to pursue, never imagining that I would end up working in the news industry. I was forced to drop out of college temporarily for financial reasons, and I had to learn to work though the self-doubt that everyone experiences. 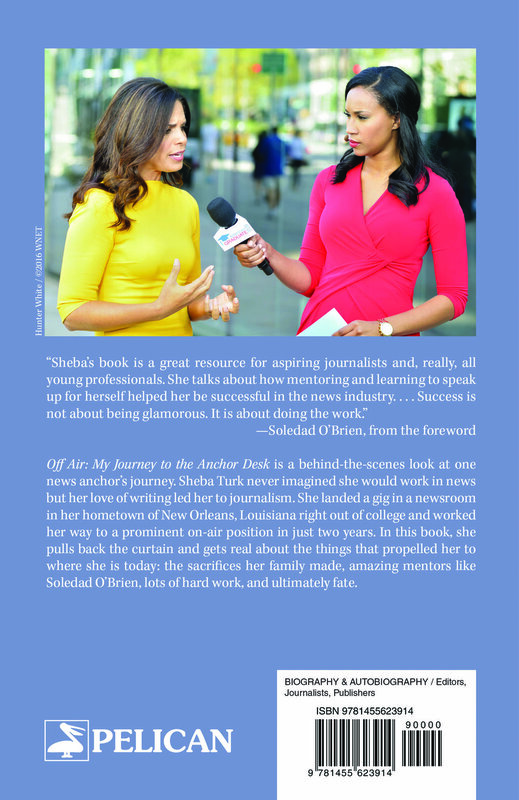 Off Air: My Journey to the Anchor Desk takes readers through the highs and lows of my journey as I broke into the news industry and, in just two years, worked my way from behind the scenes to become a prominent news anchor in my hometown, New Orleans, La. Off Air is perfect for anyone starting out on their own career path, particularly in media jour- nalism, or anyone encountering obstacles on their own journey to success. A foreword by my mentor, Soledad O’Brien, adds an extra level of inspiration. What inspired me to write Off Air ? I was inspired to write this book by the overwhelming amount of aspiring journalists who reached out to me to look for advice about breaking into the industry. I want to help in any way I can. What will readers get out of Off Air? My first few years in the news industry have been a crash course not only working in media journal- ism, but in building a brand, forcing myself out of my comfort zone, and understanding some unspoken strategies for success. I am sharing all of my tips and tricks in Off Air. I figured I would write a book after I retired, looking back on my career. Even though I have a lot more learning to do, I started writing about my journey and realized I couldn’t hold onto my newfound wisdom for decades. Someone else could use it right now! The book is $22.95. It will be available on my website! Stay tuned. My amazing mentor Soledad O'Brien! My first alarm goes off at 2:40ish every morning. I would like to say that I get up, but I am trying to break my addiction to the snooze button. Being an adult is tiring and waking up in the middle of the night often leaves me feeling like a hamster on a wheel, always going and going. Over the years, I have discovered some things that help me make it to the next day. Being late is not an option. Our show starts at 4:30am and I HAVE TO be on air. There’s no such thing as running 5 minutes late. One alarm is just not enough. I often turn them off. Setting more than one assures that I will be too preoccupied turning off alarms to completely fall back asleep. Everyone says get enough sleep. Well I’m here to say, that’s just not always going to happen. And I don’t drink coffee, but it’s crucial that I have a go to when I just CAN’T! For me, it’s green tea. There are only so many hours in a day. I had to accept that I can’t do it all at one time. Learning to say no has helped me feel less overwhelmed and happier because I am only doing things that are really important to me. It’s also easier to keep going when I am tired if everything I have to get done is something that I am really passionate about. To get the recommended eight hours of sleep a night, I would have to go to bed by 6:30pm. The world is still alive and buzzing. I have tried, but mentally, I just can’t check out that early in the day. I am also much more productive at night, so I don’t want to give up that time. I have become dependent on naps to get me through the day…everyday. I have a vicious cycle where I go to bed somewhere between 9pm-11pm, wake up exhausted, get off work usually between 1pm-3pm, nap and then have a regular afternoon. It’s not perfect, but it works for me. There’s no such thing as a normal day for me, and if I try to stick with a regular schedule it just doesn’t work. One day I may use my afternoon to go to the gym, another day I may use it to hang out with friends or stay at work late. I had to let go of the idea of a regular, daily schedule and take things day by day. Journalism does not require a specific major. Journalism and communications seem like natural choices for people who want to go into this field. I majored in English because I loved to write and I didn’t know what I wanted to do. Being an English major polished my writing skills which eventually helped me land my first paid gig in a newsroom writing for the morning show that I now anchor. Being in front of a camera is not easy even if you’re outgoing like me. I did theater in high school, and I think it really gave me an edge when it came to feeling comfortable delivering the news. In a sense, we are performing. Doing theater made me even more comfortable in front of an audience. Yes, you read that right NOT being interested in news my entire life helped me succeed in news. There are people who will watch the news religiously no matter what is happening. There are others who only tune in when something grabs their attention or affects them. I always think about ways to make a non-news lover care about the story I am writing, and it helps me tell my story in the most relatable way possible. You’ve got to give something to get something. I gave up my time in exchange for experience. I did my first internship at CNN in the summer before my senior year of college. I wasn’t paid a dime, but I picked up skills that I still use today. I can roll with the punches, feel confident in a simple bun, and get over things easily. In the TV world, it has helped me get past my own mistakes and others. I get rained on during live shots, things go wrong behind the scenes in the studio, I stumble over my words…..there is so much that can go wrong during a live show. It’s important to get over things quickly and keep it moving.